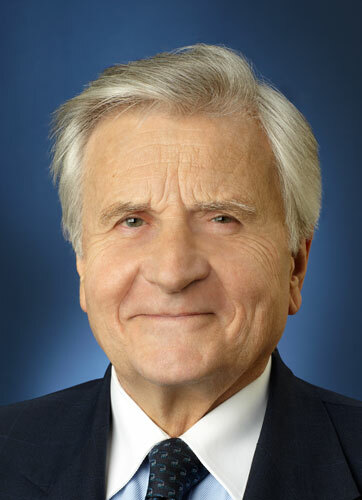 Mr Trichet, do you believe in destiny? I have used that term on a few occasions – including the tenth anniversary of the establishment of the ECB, when I quoted Konrad Adenauer. He once said that Europe is a community with a common destiny. He also said that “it’s up to us to shape that destiny”, and I believe he was right. You have also talked about a common destiny in connection with the euro and the sovereign debt crisis. Is destiny not the opposite of a free political decision on whether or not to pursue a particular form of European integration? That is certainly not the way that I interpret the word “destiny”, and it’s definitely not Konrad Adenauer’s understanding, either. It’s certainly not a question of predetermination. It relates, instead, to the fundamental importance of the close unity, interdependence and friendship by which the people of Europe choose to bind themselves in today’s world. And in that respect, we share a “common destiny”. Many politicians have described our currency union as a matter of war and peace. Is that an exaggeration? The process of integration has enabled Europe to enjoy more than half a century of peace, prosperity and stability. Were we to begin regressing, we would place this stability in jeopardy. From an economic perspective, the rationale for pursuing integration is far stronger today than it was in the immediate aftermath of the war. Back then, China, India and Latin America did not have the considerable economic importance that they have today. Demographic developments have also tended to increase the importance of European integration. We Europeans, if we act alone in our individual countries, will gradually look like dwarves relative to developments in the rest of the world. What is wrong with remaining dwarves? There are different ways of looking at this. But what was the original concept of Europe after the war? Our role model was the single US market. The view taken at the time was that, if we want to achieve prosperity and peace, we have to enjoy the same economies of scale and the same free market as the United States. That was the view of Europe’s founding fathers. If it was true then, it is even truer today. Is the success of our currency union a precondition for the success of the European project? Our currency union is the most advanced element in the process of European integration. It is the most appropriate means of realising our founding fathers’ vision of a single market in Europe. After all, you could hardly imagine a single market in the United States with different currencies in Massachusetts, Florida and California. Average annual inflation has, at 2.0% over the first 13 years, been much lower than it was before the euro in a number of member countries, and also lower than it was under the Deutsche Mark over the previous 50 years. Our primary objective of price stability is the needle in our compass. But inflation is not the only thing that the Germans fear. They are also scared that they will end up being responsible for the debts of other countries. Can you understand that? First of all, I don’t like this talk of “the Germans”, “the Italians” or “the French”. We live in democracies. Our mandate is to ensure price stability. We have delivered price stability, and the markets clearly trust us to continue doing so for the next ten years. The question of debts and who should be responsible for them needs to be put to national governments. First, to the governments who behaved improperly in the past and accumulated excessive levels of debt. And second, to the governments who simply accepted that behaviour on the part of their neighbours. We, the Executive Board and Governing Council of the ECB, have spent years arguing publicly against infringements of the Stability and Growth Pact and warning of the dangers that this poses. Do you think Germany has changed over the years? I have, of course, had the opportunity to discover much of Germany for myself and have gained a lasting impression of this country. This is due, among other things, to the fact that I have many, many friends here – friends such as Jürgen Stark, Horst Köhler, Theo Waigel and Hans Tietmeyer and many more. So, I have close ties with Germany. I have observed changes in Germany which are highly significant from an economic perspective. A simple example is the fact that, when I moved to Frankfurt eight years ago, the shops were shut by late afternoon – and shut all afternoon on Saturdays! Now, some are still open at 10 p.m., which my wife particularly appreciates. This is a small thing, but it shows that the country is changing extremely quickly. Do you have the impression that the Germans are too scared? As regards inflation, I understand the deep-seated fears of many German citizens, given their experience of hyperinflation in the 1920s. In fact, a lot of people feel much the same way in France. The French experienced hyperinflation at the time of the revolution. This experience of the “assignats” – paper money introduced during the French revolution that lost all but a fraction of its value in just a few years – continued to have an impact right up to the Second World War. But what matters is the fact that today we have price stability in the medium term and inflation expectations are firmly anchored. The thing about Germany is that, given its export-oriented economy, it is widely acknowledged by employees and workers that international competition means that there is limited room for manoeuvre. In other countries, the weight of the public sector is much greater and the percentage of the private sector which is engaged in the production of tradable goods is smaller. As a result, there tends to be less recognition of the importance of competitiveness than there is here. In this respect, Germany is particularly well equipped to meet the demands of international competition. Over the last few months you have – as result, among other things, of the ECB’s buying of government bonds – been heavily criticised by people in Germany, including your friends. Do you feel misunderstood? This means that we have to tirelessly explain what we are doing. We have strictly separated (in accordance with the “separation principle”) our interest rates, which are designed to deliver price stability, and our “non-standard measures”, which are helping to improve the transmission of our interest rates in this period of market disruption. We cannot ignore the fact that we are experiencing the worst global financial crisis for 66 years! What exactly is the criticism? Have we delivered price stability since the inception of the euro – both before and during the crisis? Are we credible in delivering price stability over the next ten years? The answer to these two questions is “yes”. We are conducting monetary policy for our 332 million fellow citizens in 17 countries. We design all our non standard measures – the full allotment of liquidity at fixed rates, the covered bond purchase programme and the Securities Markets Programme – to be commensurate to the market disruption, in order to improve the transmission of our monetary policy. Some German central bankers say that the ECB’s actions have taken it to the limit of what is defensible, while others say that it has overstepped this limit. We are entitled to use all of the instruments mentioned, since the transmission of monetary policy is at risk if interest rates for “risk-free” monetary and financial investment instruments in the individual euro area countries are hampering our monetary policy. At the same time, we have always made it clear that financial stability is the responsibility of governments. We had to intervene – for monetary reasons – only because for a long time governments did not take their responsibility for ensuring financial stability seriously. Have we perhaps gone too far as regards our monetary policy? To answer that, we should look at the policy rates of other currency areas, such as Japan or the United States, which are much lower than ours. Any comparison with other important advanced economies’ central banks shows that we are actually very prudent in our application of non-standard measures. But is that also true of the non-standard measures? Again, the comparison is simple. Look at the evolution of central banks’ balance sheets since the start of the crisis. Our balance sheet has increased by around 80%. On the other side of the Atlantic, the equivalent balance sheet has grown by 226%. None of us can ignore the crisis. Drawing on the ideas of the great German thinker Max Weber, I would say that we have to rely on both the ethic of conviction, which I associate with the interest rate measures, and the ethic of responsibility, which I associate with all the non-standard measures. And we have to do that in a highly responsible way. That being said, did you know that in my own country I was called the “ayatollah of the strong franc” and “Tietmeyer’s clone”? You must admit that you find that flattering. It was meant as very harsh and serious criticism by some in my home country. On the other hand, there are also those in Germany who are not critical. I was awarded the Karlspreis in Aachen and the Global Economy Prize in Kiel. This was a very great honour for me and both were very moving occasions. In Germany there is a debate about whether the voting rights in the ECB’s Governing Council should be redistributed. Instead of the rule that each member has one vote, there would be a weighting according to capital share. Is that conceivable? When Monetary Union was set up, the “one member, one vote” rule was an important requirement for Germany. A different approach would have been possible, but Germany was afraid that there would be a nationalisation of the behaviour of the Governing Council members. When the EU was enlarged, the voting rules of the Governing Council were reformed in the Treaty of Nice in order to safeguard the decision-making capacity of the Governing Council in the enlarged EU. The idea of taking into account the size of the respective countries has thus already been implemented. Will European integration, as currently foreseen, be possible without excessive transfer payments? We should make a distinction between assistance, transfers and loans. The Treaties do not prohibit loans between member countries. It would not be conceivable on any continent for countries not to help each other out with loans bearing interest, for instance to complement IMF loans. The Treaties do prohibit subsidies and transfers. In addition, it should be possible in future to impose decisions on countries that persist in not complying with the Stability and Growth Pact, thereby putting at risk the stability of Monetary Union. In my view, the Treaties would need to be amended to this end. Why do you believe that the new Stability and Growth Pact will not fail just as the old one did? It is much stricter, although not as strict as we would have liked it to be. In addition, the euro area countries have been made painfully aware of the dangers of constant violation. They have learned the hard way that benign neglect is not acceptable. This crisis has also changed the role of the ECB. Is there not a risk of the central bank taking on too much responsibility and overdoing things? You sent the Italians a letter in which you set out what the country needs to do in order to get the debt crisis under control. That is not the type of letter that central banks usually send to governments, is it? You know, much of what we have developed and put into practice in Europe has gradually gained acceptance throughout the world. That is true of the deficit limit of 3% of GDP, of the inflation target of just below 2%, and of the central bank’s press conference. And the same is also true of the tradition of the Bundesbank, the Banque de France and other European central banks to voice their opinion on fiscal policy. This has proved to be worthwhile. The reason that we are experiencing such great difficulties and that we have this government debt crisis is that for too long the governments of the advanced economies and of Europe in particular did not live up to their fiscal responsibilities. What exactly caused the ECB to step in? There was a decision to expand the rescue fund, the European Financial Stability Facility, and to broaden its mandate so that it can purchase government bonds. All 17 Heads of State or Government signed up to this decision. There were then delays, and so the ECB once again found itself in a situation where it had to intervene in the bond market in order to safeguard the transmission of monetary policy. We had to act decisively vis-à-vis savers and investors throughout the world. We had to send a message to governments about what, in our opinion, could be done in order to retain the confidence of the markets. But we never act as a substitute for the governments’ responsibility and decisions. Will the ECB not stretch itself too far through the politicisation of its role? We are not politicising our role. We are executing our monetary policy responsibly in accordance with the Treaty, fully in line with the European tradition as regards our call for sound fiscal policies, at a time of the worst crisis since the Second World War. The Europeans are making history. There has never before been an attempt to bring together 17 countries, including the world’s third, fourth, sixth and eighth largest industrialised economies. This is, of course, ambitious. And the crisis is acting in advanced economies as an X-ray picture: it is revealing the weaknesses of all. In our case, it is the weaknesses of the governance of Economic Union. But why is the ECB constantly seen at the centre of the action and on the political stage? The ECB is the most developed institution of integrated Europe, and the institution that is fully able to take action. Something that also plays a role is the fact that Europe’s capitals – unlike us – may not have at all times a complete and immediate picture of the crisis situation. From this institution, we have the complete picture, worldwide and in Europe. It is simply our duty to pass on this picture to the leaders of our democracies. Sometimes they follow us, sometimes they don’t. The responsibility lies with the governments. The most important thing for the ECB is to ensure medium and long-term stability, and that is why it cannot use monetary policy to put right the failings of government policies. Will the euro still be around in ten years? Not only will it be there in ten years’ time, the information that we obtain from investors and savers indicates that it will ensure price stability in line with our definition: less than 2%, but close to 2%. The average annual inflation rate six to ten years from now is expected to be 1.8%.